Beautiful summer dresses, delicate jewelry, and some very cool sunnies: Here's everything you guys loved from Nordstrom this month! 1. 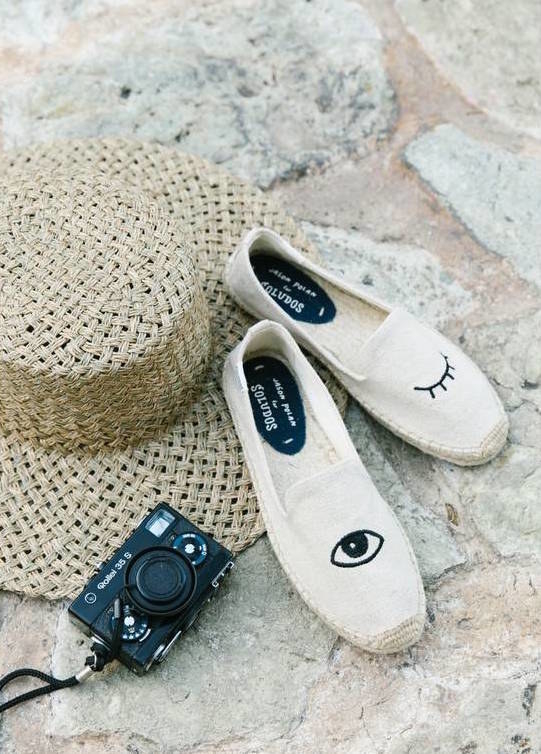 A pair of very flirty Soludos espadrilles for all those sandy vacations you have planned this summer. 2. A floral-print Lush wrap dress just tropical enough to make you feel like you're on vacation when you're actually stuck at home. 3. A gorgeously colorful maxi dress designed with a thigh-high slit and plunging neckline. 4. A pack of 18 super-versatile golden earring sets so you always have a pair on hand, no matter the occasion. 5. A pair of high-waisted Yummie leggings with just enough smoothing and stretching action to keep you comfy all day. 6. Some Supergoop! 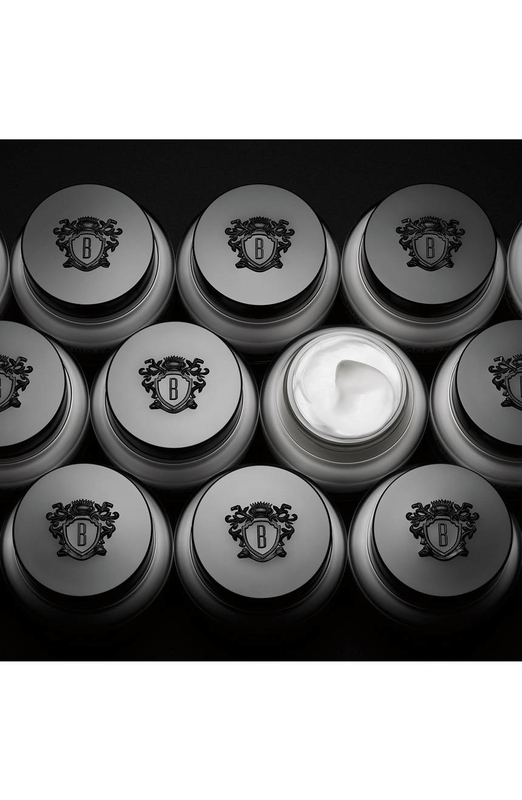 CC Cream filled with omega-3 and -6, and SPF 35 so you can help keep your skin protected while giving it the coverage you want. 7. A pair of Leith pleat-front trousers easily worn on a busy day at work or for a spontaneous date night — or both! 8. A studded Tinsel denim jacket, because you need to upgrade to your go-to summer staple. 9. A flowing Loveappella maxi dress to throw on during those sticky AF summer days when just the IDEA of putting on clothes makes you break a sweat. 10. A comfy AF set of knit pajamas that'll keep you cool and lookin' cute while you sleep (but mostly cool because sweating while you sleep is the worst). 11. 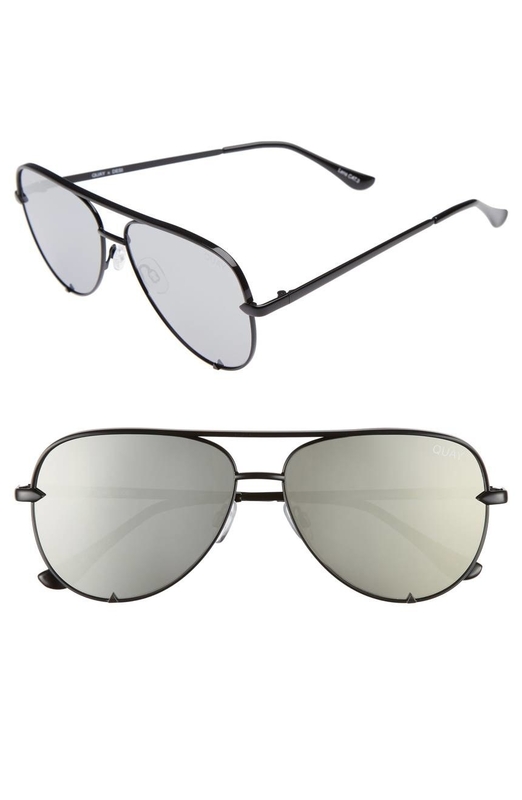 A pair of 57mm Quay Australia aviator sunnies to have you looking like a celeb working their way through a crowd of paparazzi. 12. A super-stretchy and lightweight BP. 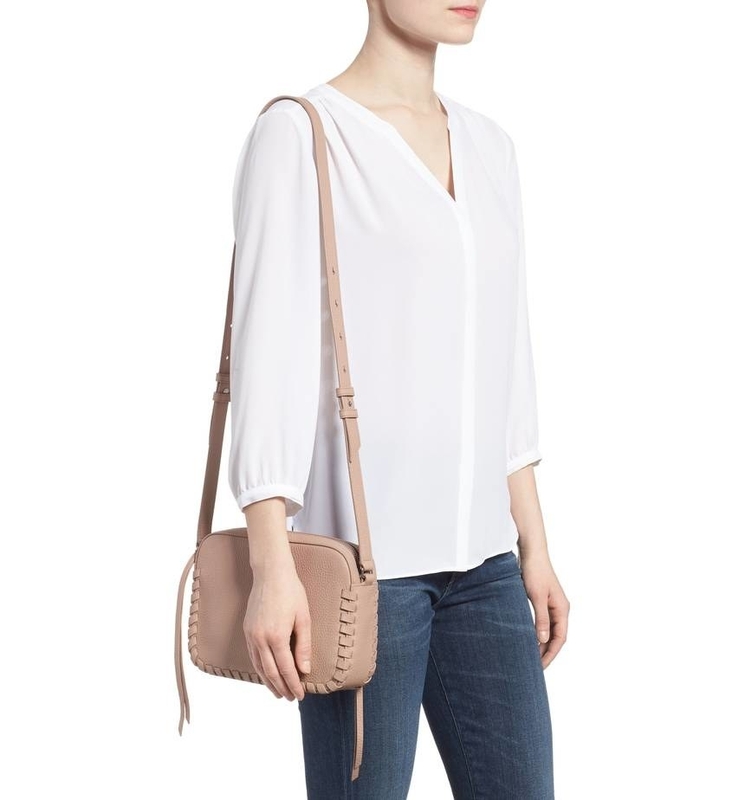 camisole, because these are an absolute essential in anyone's closet! 13. A twirl-worthy cotton Free People midi dress you can easily wear over your favorite tee or under your go-to denim jacket. 14. Some coconut water–infused Too Faced setting spray that'll help you prime, set, and refresh your makeup while keeping skin hydrated. 15. A ruffled Lush wrap dress, because chances are you're going to a million weddings this year and this is the perfect dress for all of them. Price: $49 (available in sizes XS-XXL and in seven prints). 16. Some Parfait hipster briefs, because it's time your underwear stopped being holier than Sunday — plus with these, the more you buy, the more you save. 17. A pair of Naturalizer Half-d'Orsay flats built with their signature N5 Contour technology, which is designed to contour your foot while providing it with arch and heel support, some serious cushioning and flexibility, and a quick-drying, breathable lining — all so every step you take is in total comfort. 18. A ruffled-neck Band of Gypsies floral maxi dress almost too pretty for words — almost, because people will find the words to tell you how amazing this dress looks. 19. A bottle of Dior's Vernis Gel Shine and Long Wear Nail Lacquer so you can always have that pop of color in your all-black wardrobe. 20. A finely knit racerback Free People tank that's so comfy, you'll probably want to sleep in it! 21. A pair of frayed TopShop mom-jean shorts to get you through all those summer festivals. 22. 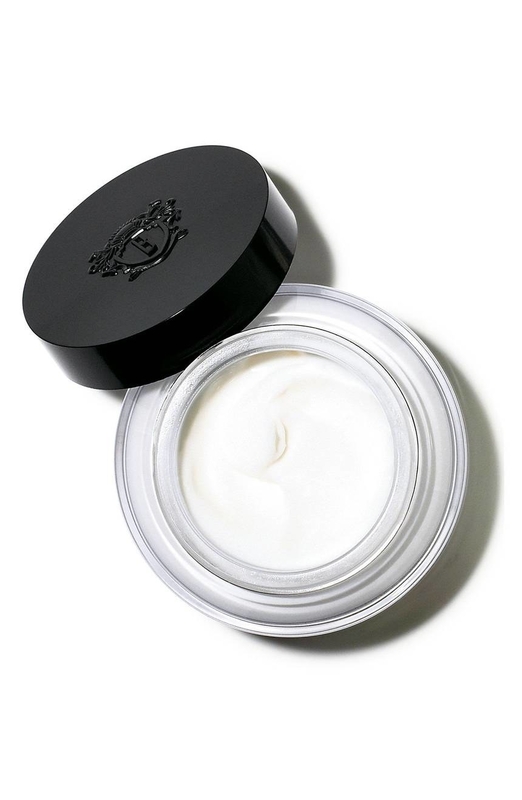 A jar of Bobbi Brown's Hydrating Face Cream to help instantly hydrate, moisturize, condition, and nourish your sometimes-dry skin using an enriched mineral-water blend, algae extracts, and caffeine. 23. A delightfully comfy scoop-neck La Blanca one-piece, because you're so ready to be lying poolside. 24. A layered BP pendant necklace designed with a faceted crystal-lined curved bar to help add just the right amount of sparkle to your summer looks. 25. A chic AF cropped jumpsuit that'll have you looking like you just stepped off the runway into real life. 26. 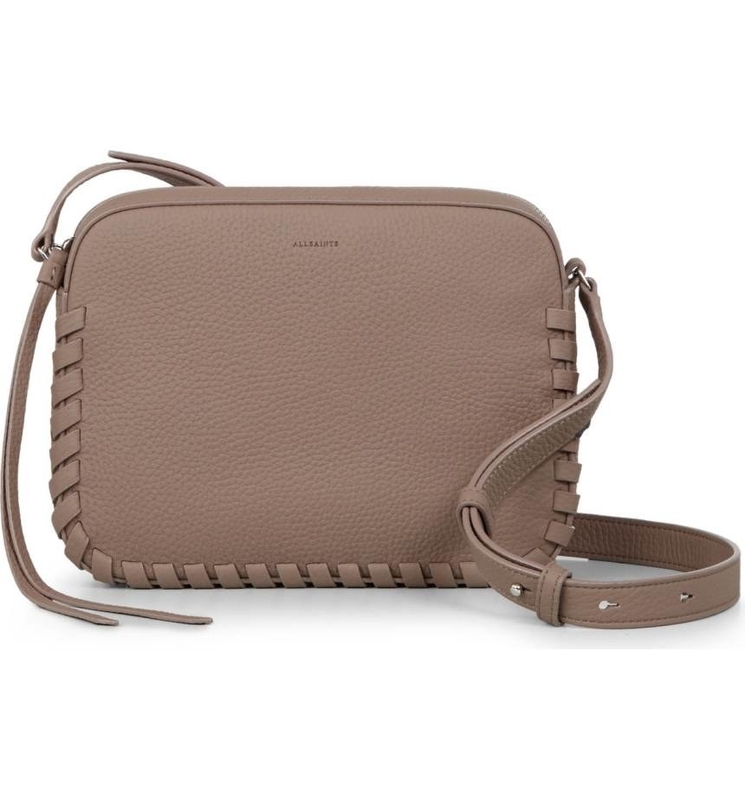 An investment-worthy All Saints leather crossbody, because you need a solid bag that'll last you — and this just might be it! 27. Some nourishing AF Drybar Mudslide hair mask to help restore your hair after all the damage you put it through. 28. A strapless Soprano body-con dress that'll have you lookin' like a snack — like those water crackers fancy people eat! 29. A knit Lush maxi dress perfect for that afternoon brunch date where you fully intend on pigging out and looking classy while you do! 30. 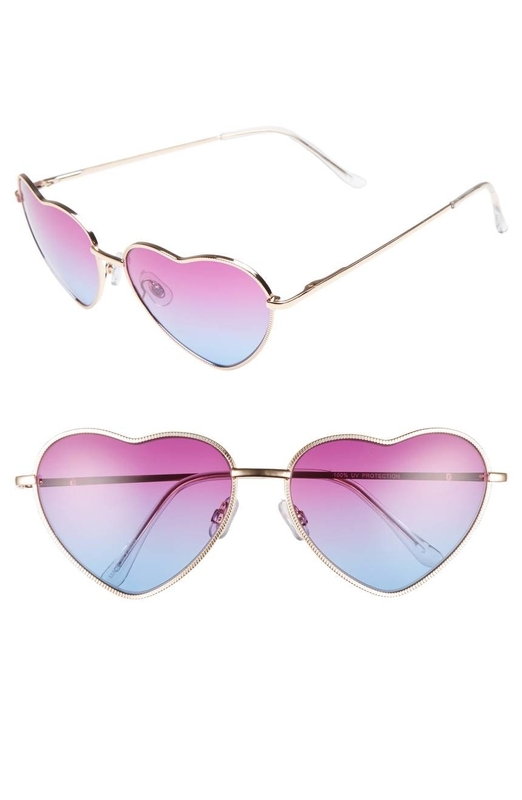 A pair of heart-shaped BP sunnies that'll have you looking like the IRL version of this guy: 😍. 31. And a pair of splurgeworthy Schutz ankle strap sandals, because they will never go out of style!